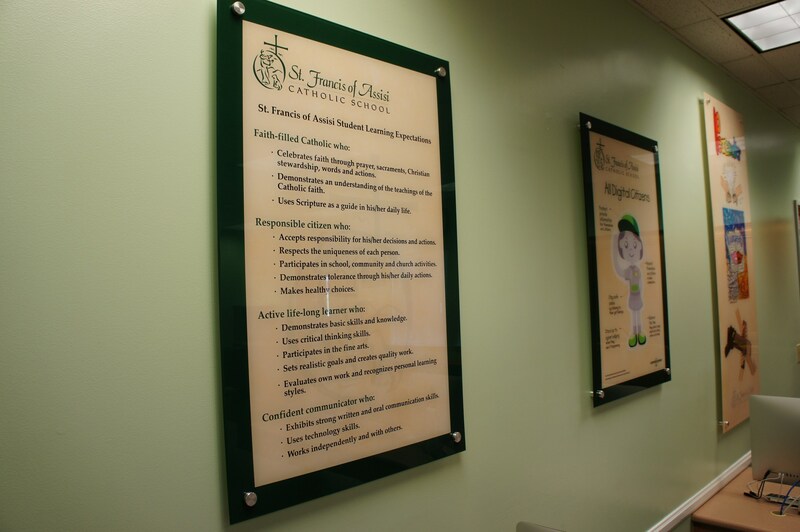 Our Student Learning Expectations are the observable and measurable skills that are the priority learning goals identified by the St. Francis of Assisi Catholic School community as what we hope to see manifested in all of our students. Celebrates faith through worship, prayer, sacraments, Christian stewardship, words and actions. Demonstrates an understanding of the teachings of the Catholic faith. Uses Scripture as a guide in his/her daily life. Accepts responsibility for his/her decisions and actions. Respects the uniqueness of each person. Participates in school, community and church activities. Demonstrates tolerance through his/her daily actions. Demonstrates basic skills and knowledge. Participates in the fine arts. Sets realistic goals and creates quality work. Evaluates own work and recognizes personal learning styles. Exhibits strong written and oral communication skills. Works independently and with others.